Mindy Larson is Deputy Director of the Center for Workforce Development at the Institute for Educational Leadership. She currently serves as a senior manager for the Vocational Rehabilitation Youth Technical Assistance Center (YTAC) as well as the National Collaborative on Workforce and Disability for Youth (NCWD/Youth), a federal technical assistance center funded by the U.S. Department of Labor’s Office of Disability Employment Policy. Since joining IEL in 2010, Larson has provided technical assistance on a wide range of youth transition issues to state and local youth service professionals in workforce development agencies, postsecondary institutions, special education transition programs, state education agencies, and other human service agencies. Through a cooperative partnership with Cornell. 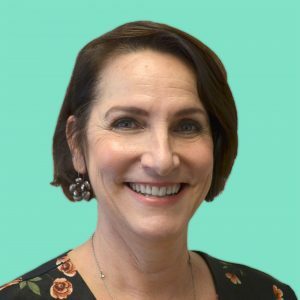 Wendy serves in the role of Co-Project Director of the VR Y-TAC, a national technical assistance center funded by the US Department of Education’s Rehabilitation Services Administration. 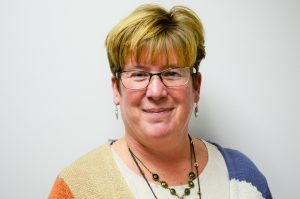 In this role, Wendy provides leadership to the team of Technical Assistance Liaisons and Program Associates who are charged with supporting state Vocational Rehabilitation agencies to recruit and serve youth with disabilities under the new federal guidelines provided by the Workforce Innovation Opportunity Act (WIOA). 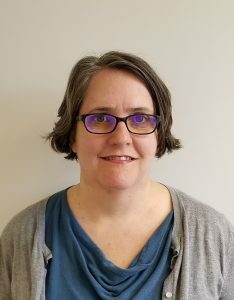 Wendy brings to the VR Y-TAC and IEL over 30 years of experience focusing on employment services for youth and adults who experience life with a disability. 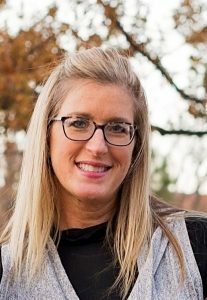 She has spent a majority of her career directing projects dedicated to providing education, training and staff development to professionals in the vocational rehabilitation field. 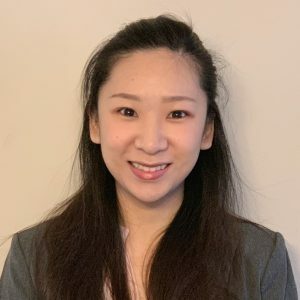 Wendy is currently employed by Cornell University’s K. Lisa Yang, Hock E. Tan Institute on Employment and Disability as an Extension Associate where she is assigned to manage the VR Y-TAC project and the New York State Consortium for the Advancement of Supported Employment Project. Dr. Jessica Queener is a project manager for the Center for Workforce Development at Institute for Educational Leadership (IEL). 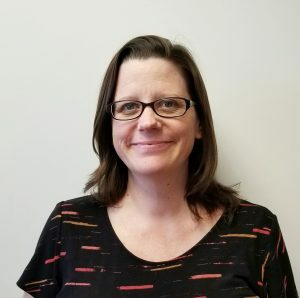 For the past 17 years, Jessica has collaborated with key stakeholders in assisting youth and young adults with disabilities transitioning to adult life. 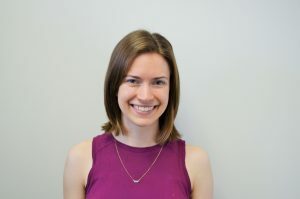 At IEL, Jessica works closely with providing youth service professionals technical assistance to effectively serve students and youth with disabilities, including opportunity youth. As a project manager, Jessica manages the development and dissemination of the Y-TAC universal technical assistance tools (e.g., webinars). Kimberly Osmani is a Technical Assistance Liaison for the Y-TAC through her role as an Extension Associate at Cornell University. Kim has extensive experience in working with youth with disabilities–first as a special education teacher for 10 years, then as an Associate State Director of Special Education Services at the Oklahoma State Department of Education, and finally as the Statewide Transition Coordinator for the Oklahoma Department of Rehabilitation Services. She holds two master’s degrees—in special education and educational administration, and is currently working toward her doctorate in special education–transition. Kim Chairs the Oklahoma Transition Council, is Secretary for Oklahoma’s Chapter of the Division on Career Development and Transition (DCDT), is Chair of the CEC-DCDT Policy and Advocacy Committee, and is Past President of the National Rehabilitation Association Transition Specialties Division. Since joining IEL in 2017, Grandon has provided subject matter expertise on programs for youth who are Blind or Low Vision to a wide range of state and local youth service professionals in workforce development agencies, post-secondary institutions, special education transition programs, state education and vocational agencies, and other human service agencies. Grandon developed multiple technical assistance guides, briefs, and other publications for Y-TAC on topics relevant to youth who are Blind or Low Vision. Currently, Grandon is also working with several other local and international agencies in the area of youth transition: including First Place, a program focused on building community and housing for individuals with Autism and other special abilities; as well as serving as the Ombudsman for the Arizona Schools for the Deaf and the Blind. With over 15 years of diversified experience, Alicia brings a unique blend of skills and experiences that all map to her passion for building solutions that drive impact for youth and adult learners. Alicia supports Y-TAC on issues related to career pathways and also oversees IEL’s Adult Career Pathway Design Challenge, which is part of the organization’s Minds that Move Us Initiative. Through this challenge, ten cross-sector teams from around the country were selected to design innovative career pathway programs for adults over 26 who do not have any formal postsecondary training or education and lack the skills necessary to put them on a career path. Alicia is a thoughtful leader with a track record of strengthening policies and educational programs on the national level as a Policy Advisor for the U.S. Department of Education’s Office of Career Technical and Adult Education as well as the district level as the Director of Career Education for D.C. Public Schools. In addition, she has a variety of experiences successfully managing complex projects, designing older youth and adult career programming, overseeing intricate budgets and grants, leading and developing teams, and partnering with a variety of stakeholders to build buy in and diversify funding sources. Through a partnership with Cornell University’s School of Industrial Labor and Relations, Leslie joined IEL’s Vocational Rehabilitation Youth Technical Assistance Center (Y-TAC) team in January, 2018. 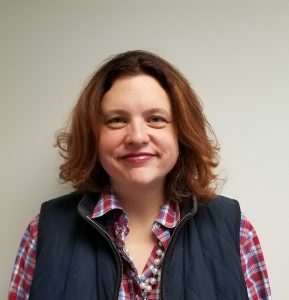 She focuses on data and evaluation of the Y-TAC technical assistance efforts with vocational rehabilitation programs and related rehabilitation professionals. Along with a masters in counseling and doctorate in quantitative psychology, Leslie brings experience from business, non-profits, and academic research to her role in Y-TAC. 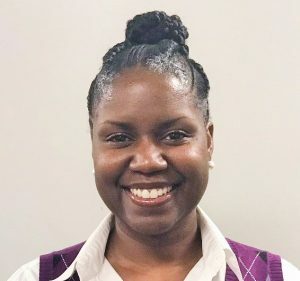 She started her career as a systems analyst before shifting to research and program evaluation at the Center for Child and Family Health, a non-profit in Durham, North Carolina affiliated with Duke University, University of North Carolina at Chapel Hill, and North Carolina Central University. Emily (Li) Cheng is a Ph.D. candidate at Western Michigan University, studying public policy and administration. She received her master’s degree in public administration from Binghamton University (SUNY). Her excellent skills in statistical analysis, database management, and program evaluation contribute to her success in these previous endeavors. She is working on her doctoral dissertation and planning to graduate in April 2019. Her dissertation focuses on transformative learning and curriculum internationalization of public service programs. Ms. Cheng is now working at IEL as a data researcher. She is enthusiastic about promoting excellence, diversity, and inclusion in post-secondary education. Whitney joined IEL in December 2017. 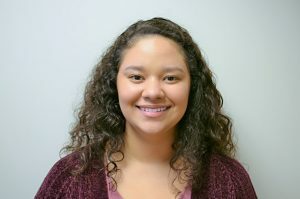 She will be working as a Program Associate with the Center for Workforce Development and specifically on the Vocational Rehabilitation Youth Technical Assistance Center (Y-TAC) initiative. Whitney graduated from Catholic University with a bachelor’s degree in social work and a minor in Spanish. Throughout college, she held a variety of internship and job positions including Conference Coordinator for Catholic University’s Conference on Human Trafficking, Crisis Counselor for So Others Might Eat, and Social Work Intern for the Homeless Children’s Playtime Project (HCPP). Throughout her HCPP internship she learned what it takes to run a nonprofit aimed at serving youth and families experiencing homelessness in DC. She compiled a wide range of resources for parents, managed playtime enrollment and attendance, edited HCPP’s training presentations, as well as conducted child play therapy. Sylvie joined IEL in December 2017. She will be working as a Program Associate with the Center for Workforce Development and specifically on the Vocational Rehabilitation Youth Technical Assistance Center (Y-TAC) initiative. Sylvie graduated from the University of Pittsburgh with Bachelor of Arts degrees in both Urban Studies and Communication. Throughout college, she held a variety of internship and job positions in non-profits, both domestically and internationally. In 2013, Sylvie spent two months in Peru building latrines and leading community health fairs and subsequently volunteered as an English language teacher at a public elementary school while studying abroad in the Netherlands. In Pittsburgh, Sylvie wrote articles on current issues within education for online viewing and assisted with creating a guide for parents and tutors for the recent changes to Common Core State Standards at the time with the Pittsburgh Assistance Center for Educators and Students. Jessica joined IEL in December 2017. As Program Associate, she supports the Vocational Rehabilitation Youth Technical Assistance Center, a groundbreaking initiative that provides state vocational rehabilitation programs and related professionals with technical assistance and training to help more effectively serve youth with disabilities. Prior to joining IEL, Jessica interned as a Law Clerk for the U.S Department of Justice. Under the Environment and Natural Resources Division, she did extensive research on prior legislation as well as writing about findings and supported attorneys in organizing paperwork and information in preparation for trials, hearings, and depositions. Jessica was also a Refugee and Migration Intern at Save the Children, an international non-governmental organization that promotes children’s rights, provides relief and helps support children in developing countries. 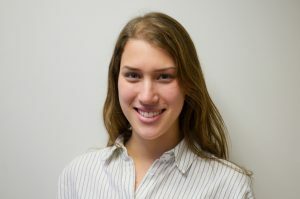 There, Jessica reviewed and edited proposals and reports prior to submission to donors, including the US State Department and the UN Refugee Agency.